COBRA Golf, a leader in golf club innovation and design, introduced today the lightest, easiest-to-hit irons and hybrids in company history. Building off the success of the original F-MAX irons which debuted in 2017, the 2018 F-MAX men’s and women’s Superlite irons and combo sets feature incredibly light-weight technologies and designs that provide more club speed, distance and easier launch than ever before. The men’s F-MAX Superlite Hybrids are available in 3H (19-degrees), 4H (22-degrees), 5H (25-degrees), 6H (28-degrees) and 7H (31-degrees) of loft and feature a street price of $179 per club. The women’s F-MAX Superlite Hybrids are available in 4H (23.5o), 5H (26.5 o), 6H (29.5 o) and 7H (32.5 o) in RH/LH in ladies flex. 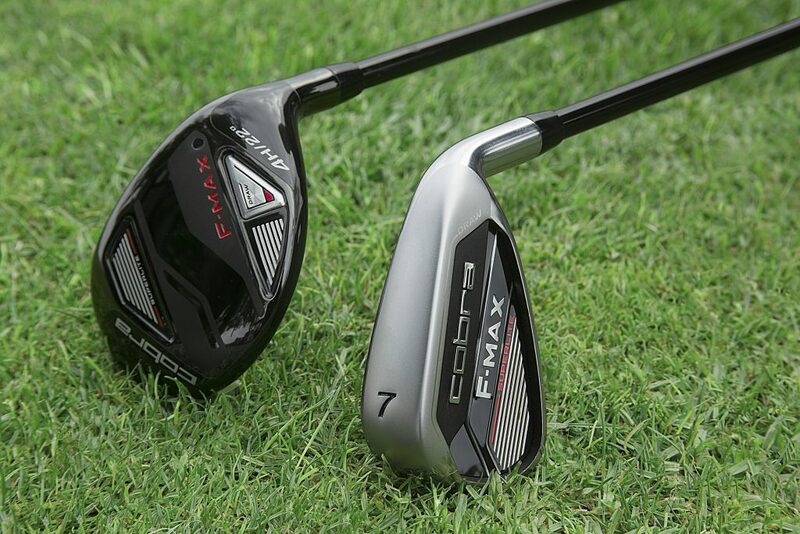 The F-MAX Superlite Irons and Hybrids are available beginning October 5, 2018 in store and at https://www.cobragolf.com/fmax-superlite. COBRA PUMA GOLF is a corporate division of PUMA SE and combines two strong brands that provide a full range of offerings to the golf industry. COBRA PUMA GOLF is an inclusive company for golfers of all abilities, attitudes and styles who enjoy the game. The portfolio includes COBRA Golf’s high performance drivers, fairways, hybrids and irons, as well as PUMA Golf’s SportLifestyle including footwear, apparel and accessories to help golfers Look Better. Feel Better. Play Better. Fusing performance and style, COBRA PUMA GOLF brings a focus on innovation, technology, compelling design and superior performance with an edge to the global golf marketplace. COBRA PUMA GOLF is a part of PUMA SE, one of the world’s leading lifestyle companies that designs and develops footwear, apparel and accessories. For more information, visit cobragolf.com and cobragolf.com/pumagolf.